Got it figured out had to modify visual studio installation, thanks! After updating to this version (Stable channel), I am unable to build the ipa any longer. Saw info about building ipa changes in Xamarin Studio, but I do this in Visual Studio. Was all working before. Now I get a an IPA that has the Version Number appended instead of the Build Number (from info.plist). The ipa that is generated on the build is 0 bytes. I am also getting a bunch of "Value cannot be null. Parameter name: project" errors. Can build and deploy for simulator and debug device just fine. So I downgraded to the 8.9.1.3 as per the "Previous versions, downgrading" and all seems to be working fine again. Although I have done is the build of the iOS. Have not checked the Android build. The weird errors are gone too. I did see the bug (29220) that seems to be related, but not sure. Same message though. To the Xamarin dev and QA team. Please add a simple build of an ipa from VS to your smoke tests. Preferably this would be on a PC not on a Mac. This is pretty core. If you can't build a product, what is the purpose of the tool. This is something that should be tested before pushing a build to stable at the very least. Also, if you are going to make major changes, please be sure there is a thorough QA cycle. It does not seem that there is a new major iOS or Android change that you were rushing to support this time. On the really positive side. The "Downgrade" links in the top post were great. I was on holiday for two weeks and now had a look at the various messages in the various threads (for about two hours). Do we ever become a usable version, so that we can do our work and do not have to count in a day or more to install, test and downgrade and have to fear to install a update that does not bring us forward but bring us additional problems... ? I really wonder how much patience the Xamarin-customer have (I wish we had such customers). Since a few months now, I am not able to debug any of the platforms and it comes worse by every update. Instead that bugs are solved, there are new bugs added by every version... and no.. this don't help us (if the new bugs are added in bugzilla) - we finally want an usable version! Please add a simple build of an ipa from VS to your smoke tests. Ian might have additional input on this, but for now I'll note that building an IPA works correctly for me using a "new from template" Unified, Single View, iPhone app: I get a non-zero IPA file on the Windows side. There was a fix for command-line builds of IPA files added in the new Alpha Channel build that might help with the particular causes of the failure you're seeing. If that Alpha build does not resolve the issue for you, and a "new from template" app indeed does not show the problem on your machine, then the most direct way forward would be if you would be able to zip up and attach a minimal test case that demonstrates the problem on a new bug report. See the bug filing KB article for some additional hints and tips about filing a bug report and minimizing the test case. (If the link to the KB article redirects to the top-level kb.xamarin.com/ page the first time you click it, try clicking it once more.) Thanks! @WesselOosthuizen, I tried a quick test of adding a PNG to the "Resources\drawable" folder in a "new from template" Xamarin.Android project, and it worked successfully for me. In the past one common cause of issues with adding resources to Android projects has been that the Android SDK tools versions have been out-of-date. These tools can be updated via the Android SDK Manager. If the SDK tools aren't the problem, then the most direct way forward would be to file a complete bug report. See the bug filing KB article for some additional hints and tips about filing a bug report. (If the link to the KB article redirects to the top-level kb.xamarin.com/ page the first time you click it, try clicking it once more.) Thanks! @BrendanZagaeski - I appreciate that integrating Xamarin into VS is hard and a lot of work has gone into it, but it is buggy as hell. From reading your last couple of comments I do have to say that 'It works on my machine' just doesn't cut it for a product that costs me $2,000 a year. It's great that Xamarin are adding more tools (like the newly announced Inspector) but seriously guys - spend money on testing and bug fixing. No-one will be interested in whatever cool product you announce when all developer have left for more stable platforms. You make a big noise about the testing tools you have for Xamarin developers but fail when it comes to testing your own products. This release is completely broken for me - I created a new simple Xamarin.Forms app and I'm getting the hang in android and iOS doesn't build. It's such a pain having to uninstall and re-install the old version. If this was the alpha or beta channel then I wouldn't mind, but stable shouldn't be this bad. @BrendanZagaeski, it is great that this stuff works for new project. And it is great that the first post talked about thing you need to change to migrate a project, but please keep in mind that we (your customers) are not using your product just for fun. We need to be able to produce. That means we are working on existing code. Saying that something works when you create a new project is an acceptable excuse. You need to provide migration details for things that break existing projects. Even if the migration is to create a whole new project, that is fine, you just need to make people aware of it. I think separating out your builds into. 1) Addressing iOS SDK changes, 2) Adressing Android SDK changes, and 3) Xamarin Studio & Visual Studio changes would make life a lot better for us. Obviously there are times when these overlap, and maybe this latest build is #3 above. (a) Because it might stir up more back-and-forth on this thread, which would move us away from the primary goal of the thread: filing discrete bugs for new known issues that people are hitting. (b) Because I'm only a member of the Support team, not anyone in charge of release strategy. Longer Betas to encourage more customers to test the Beta builds with their specific projects and to provide Xamarin with better statistics about the frequency of issues before they are released to Stable. For example, as discussed earlier in the thread, I myself had hit and filed Bug 29133 about VS hanging during the Beta, but the QA + dev teams apparently did not properly predict how wide the area of impact would be. More customer reports of the problem during the Beta (there was only 1 that I know of) would have ruled out the possibility of mis-estimating the impact. Louder announcements about the Beta releases, especially when they are being released for larger "feature releases" that have a higher probability of changing or breaking behavior compared to the previous versions. More thorough automated reporting of issues from the IDEs back to the developer teams (via Xamarin Insights) to provide better statistics about the frequency of issues before they are released to Stable. Stricter QA criteria on allowing builds to be promoted to Stable. Note: this will likely mean that the time between new Stable feature releases will often be noticeably longer than it has been historically. 3. If you find a new problem that is specific to this version, please file a bug report (if this link redirects to the top-level https://kb.xamarin.com/ page the first time you click it, try clicking it once more). So far, the majority of reports that have come in on this forum thread have not been accompanied by bug reports, so the first goal on my end has been to get some kind of bug report filed for them. @BenLevy3, in case it might be informative, while working on another issue I happened to hit a new cause of the 0 KB IPA file problem that I hadn't seen before. Specifically, I changed the "Project Properties -> iOS Application -> Build" to a value that differs from the value of the "Version" field. This new bug is a regression in 3.11.445 compared to 3.9.547. To take a bit of extra care in documenting the issue, I have filed Bug 29822 and immediately marked it as RESOLVED with the service release as the target milestone. This will ensure the issue is tracked into the Stable release as carefully as any other regression. This might be partly related to Bug 29703, but as it turns out, even though Bug 29703 is not yet fixed in the current Alpha build (3.11.507), Bug 29822 does appear to be fixed on that Alpha build. 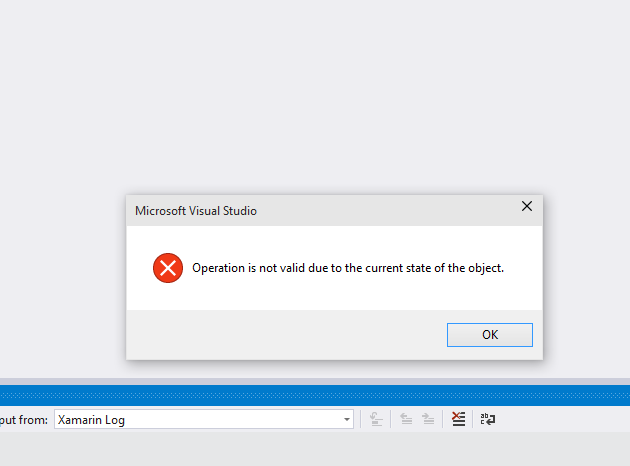 I tried this latest release with VS2015 RC on windows 10, but I cannot get it work. When I built a simple android project. It kept saying "Xamarin.Android for Visual Studio requires Starter edition or higher. Please log in with your Xamarin account to proceed". I logged into my Indie account, still couldn't get it work. I double checked the version, I did have the latest version. Any idea what went wrong for me? I managed to be able to build IPA files by enabling the LLVM compiler as per some other workarounds I found, but I am still left with debugging on only the Simulator. This happened after this update. Also, I am having great difficulties including files in the project, specifically images and xml files in the Android resources folder. It hangs 4 times out of 5 when including the files. EDIT: Removed an issue that was already mentioned in the Known issues at the beginning of this post. @Vincentwx, in case Ian hasn't gotten in touch about it yet, the current implementation of XamarinVS Starter support requires that the current user only have Starter licenses (or have Business licenses or higher). So if you have Indie licenses, one option is to create a second Starter-only account (for example via https://xamarin.com/account/login) under a second email address, and temporarily log in using that account to use XamarinVS. Then, when you wish to use the Indie level license in Xamarin Studio, you can log back in to your Indie account. To check on any issues from earlier posts that might still be outstanding, I believe Ian has been in contact with everyone who has posted recently. But if there's a bug that you haven't yet covered in talking with Ian, do still feel free to post a link to the bug report, and we'll make sure to investigate. Thanks! @Brendan Thanks for the clarification. I have done a test of the latest pre-alpha.